Future Stars Teaching School Alliance | Why train with us? Future Stars Teaching School Alliance (FSTSA) is led by Queensbridge Primary School, an ‘Outstanding’ school with a fantastic record of training high calibre students. At Queensbridge we are committed to ensuring all of our children have the best possible start to their learning journey. We create a safe, welcoming, nurturing environment which fosters a sense of belonging. We are a highly inclusive school. Our Queensbridge values; respect, collaboration, perseverance and possibilities underpin all that we do. As a National Teaching School our Head Teacher Sarah Bailey OBE is a National Leader of Education. We also have a range of Specialist Leaders of Education. Our areas of expertise are vast with particular strengths in; Reading, Phonics, Restorative Justice, Early Years, Computing, Art and Science. Our Teaching School Alliance consists of a network of ‘Good’ and ‘Outstanding’ schools in; Hackney , Islington and Haringey. We have a very successful and longstanding partnerships with UCL Institute of Education and Goldsmiths who have been providing outstanding, world-class teacher training for over 100 years. UCL Institute of Education and Goldsmiths University graduates are highly sought after in schools and colleges throughout the United Kingdom and Overseas. In partnership with our two universities we offer a choice of two courses; with UCL, IOE we offer a salaried primary QTS route and with Goldsmiths we offer a primary salaried PGCE & QTS option. 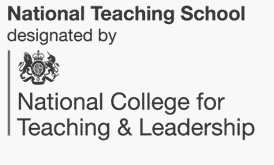 UCL IOE also offer the option of a PGCE top up. FSTSA offers a unique blend of school-based experience and university-led learning which ensures a breadth and depth of experience and exposure to a wide range of teaching practices. Students will be part of a school team from the start, based in an identified class with an experienced teacher. Many of our class teachers started their teaching careers as schools direct students themselves, so they have a wealth of experience to offer. All of our students benefit from an extremely strong support network that will lead to quick progress in becoming outstanding practitioners. At school, as well as benefiting from their class teacher’s experience, students will have an experienced school-based mentor who will provide regular meetings, observation opportunities, practical advice and a listening ear when needed. Students will also have a university tutor who will visit at regular intervals throughout the year to support their progress. All students benefit from regular study days at our Central London Universities. In addition we are unique in offering a student HUB which we run with the other schools across our Teaching School Alliance. The Hub offers exceptional opportunities to experience a different range of school settings. You will be invited to take part in learning walks in each school and offered opportunities to observe experienced teachers in action. Our Specialist Leaders of education are all practising teachers and will offer you practical tips and highly relevant insights into their areas of expertise. Students will have support at 3 levels: day to day from class-based mentors, regular meetings every week with a school-based lead professional mentor and regular visits from an experienced university tutor. All mentors and tutors will regularly observe and give opportunities for students to become reflective and set useful targets that will ensure progression towards Qualified Teacher Status. Our SLEs are accredited by the National College for Teaching and Leadership and will offer specialist workshops exclusively available to students who train through Future Stars TSA. The Alliance has links with an “Outstanding” Special School within the borough to offer ‘experience weeks’ that will add to the students’ knowledge of SEND. Hackney offers exciting opportunities for teachers in a culturally rich and diverse environment. At Future Stars TSA we will offer you a successful start to your career and great opportunities to continue with your professional development after you qualify as a teacher. We are ambitious for our teachers and have a strong track record of retaining, training and promoting our newly qualified teachers into middle management and beyond.